Contributing to your 401(k) is a great way to prepare for retirement. And if you really want to super-charge your savings, you might even contribute the maximum to the account. The good news is that the 401(k) contribution limit jumped up to $19,000 for 2019. There are also catch-up limits you should know if you’re over age 50, as well as rules surrounding employer matching. A 401(k) is an employer-offered retirement plan that is funded with pre-tax dollars, which translates to a substantial tax break by reducing your taxable income. Most of the time, the money is withdrawn from your paycheck and automatically invested. However, the IRS imposes a limit on just how much money annually you can contribute to your 401(k) account. This is called the 401(k) contribution limit. The contribution limit occasionally changes to reflect prevailing economic conditions. The official IRS limit for maximum employee contribution to a 401(k) is $19,000. This is a $500 increase from the 2018 maximum, $18,500. Contribution limits tend to increase at a more noticeable pace during the years where inflation rates also climb. This has been the case since 2008, as the rate has either increased or stayed the same every year since. There is a loophole for older workers: If you’re age 50 or older and still an employee, you are permitted to tack on an extra $6,000 per year to your contribution. That is known as a catch-up contribution. This addition brings the contribution for workers over age 50 to $25,000 in 2019. 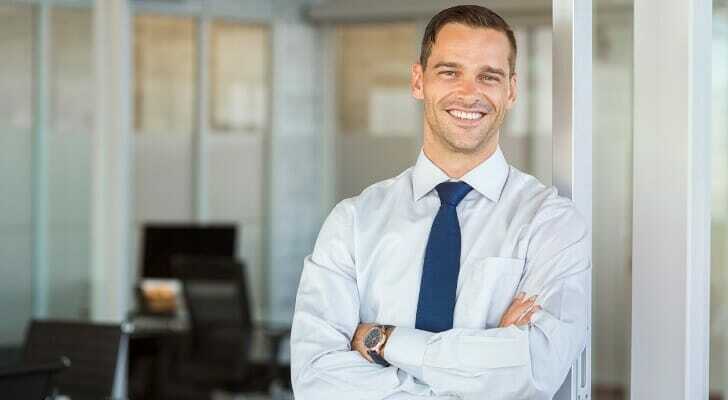 Some employers will match contributions to 401(k) plans up to a certain point – for instance, your employer may match 50% of your contributions up to 6% of your salary. These matching contributions don’t apply toward the $19,000 contribution limit. However, there is an overall limit for total contributions. In 2019, that limit is the lower of $56,000 or 100% of the employee’s salary. Note that the contribution limit for 401(k)s applies to the calendar year, meaning contributions must be made by the end of 2019 to count for the year. This is in contrast to the contribution limit for individual retirement accounts, where you can make contributions until tax day of the following year. Should You Meet the 401(k) Contribution Limit? If you have the means, should you go right ahead and contribute the full $19,000? It’s certainly not a bad idea to put a lot of money in a tax-deferred retirement account. But some experts would urge you to think about filling other needs before you max out your 401(k). For starters, certain pressing non-retirement needs may come first. These can include paying off high-interest debts, stocking emergency funds, maintaining solid health insurance and investing in long-term care insurance if you’re 50 or older. There are also other options for saving for retirement, including IRAs. If you’re not totally satisfied with the investment menu with your 401(k), or there are high fees, you may be better off contributing as much as possible to an IRA ($6,000 in 2019). A Roth IRA in particular might be a good destination: Since Roths allow for tax-free growth and distributions, it might be a good complement to your tax-deferred 401(k). Note that even if you do favor an IRA, you should still contribute enough to your 401(k) to secure any employer matching. That’s free money, after all! 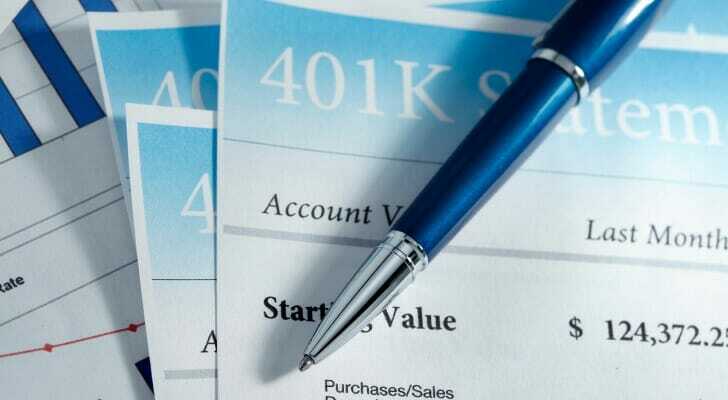 The most notable benefit of 401(k)s is that they’re tax-deferred. Your plan is funded directly from your paycheck, with the money coming out before it’s subject to taxes. By reducing your taxable income, you’re essentially taking a tax deduction (without actually needing to take on your tax return). This also means that, because less of your paycheck is going toward taxes, you’re able to contribute more to your retirement. The other well-known perk of 401(k) plans is the potential for your employer to match any contribution you make up to a specific percent of your salary. Not every employer does this, but for those that do, it’s in your best interest to contribute at least that much. With 401(k)s, you typically have a choice between different mutual funds and exchange-traded funds (ETFs) to invest in. Another benefit of the 401(k) is that you’ll also likely have access to target-date funds that automatically rebalance to reduce riskiness as you approach retirement. The objective here is that these funds invest less in equities as you get closer to retirement to reduce risk. Of course, you can also build your own portfolio using the funds in your company’s investment menu. The 401(k) contribution limit for 2019 is $19,000. Workers 50 and older get a catch-up contribution of $6,000, so they can contribute up to $25,000 annually. Be sure to contribute at least up to your company’s match. Note that your employer’s matching contribution doesn’t count toward that $19,000/$26,000 annual limit. Once you square away your other financial commitments, eliminate debt and have a cushion of funds for emergencies, consider getting as close as you can to these contribution limits. Doing so will go a long way toward setting yourself up for a secure retirement. 401(k)s are not the only retirement plans on the market. You could also consider IRAs. Traditional IRAs and 401(k)s receive a similar tax treatment, if you’re looking to get a sum of your earnings exempted. Roth IRAs, on the other hand, don’t provide an upfront tax deduction, but you don’t have to pay taxes on the income when you retire. Still not sure where to put your retirement savings? Speak to a financial advisor who can set you on the right track, with consideration of your assets, debts and savings. You can find a great financial advisor near you with our free financial advisor matching tool. All you have to do is answer a short questionnaire about your financial situation and goals. Then we’ll pair you with up to three advisors in your area who meet your needs.